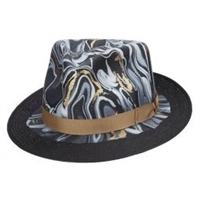 Please Note: Each Luminosity Fedora is hand-dipped in paint to achieve a unique, one of kind look. As a result, no two Luminosity Fedoras will look exactly the same. 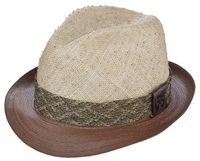 An attractive hemp braid hatband is paired with an embossed leather cross piece. A custom tooled leather sweatband and tip, add character to the already unique and special design.